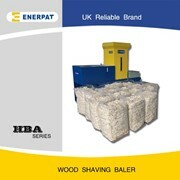 Wood Shavings Baler Machine for animal bedding. 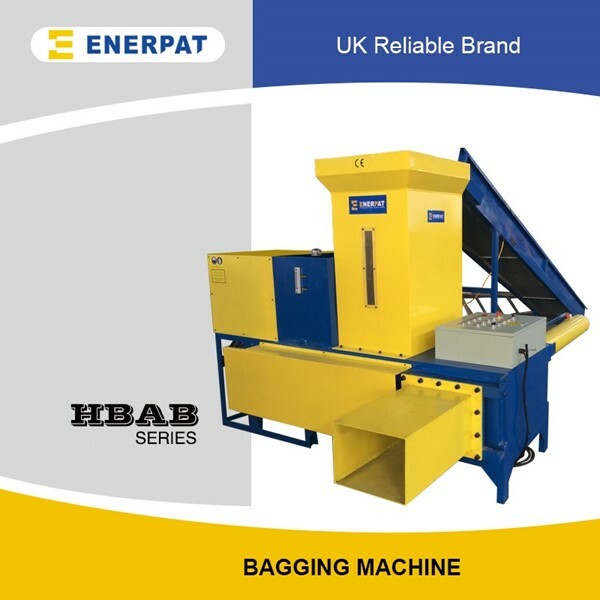 UK Enerpat Automatic Horizontal bagging press machine, Auto bagging presses, is perfect for baling wood shavings, sawdust, rice husk, rice hull etc. 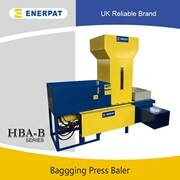 The HBA-B60 wood shavings sawdust baler is perfect for compacting wood sawdust into plastic bags. 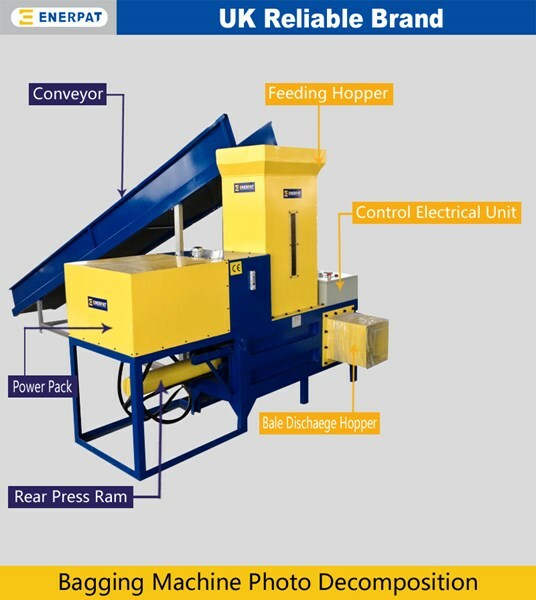 The conveyor feeds sawdust into compacting chambers. 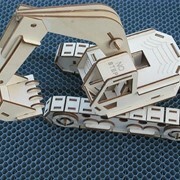 It is the first choice for farmers, wood shavings processing companies. 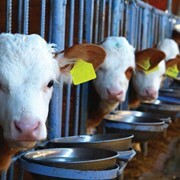 You can also use the HBA-B60 for animal bedding and animal plant feed stuff. 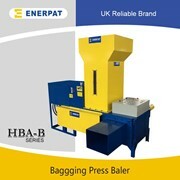 It can process bales weighing up to 25kgs, 80-85 bales per hour. 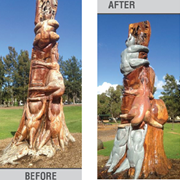 It will satisfy your daily wood processing requirements. 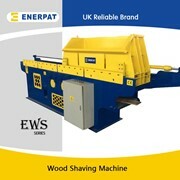 UK Largest Waste dispose Equipment Manufacturer/Vendor Enerpat machinery manufactures balers for the waste recycling Industry. 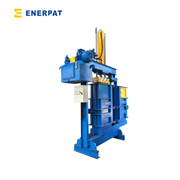 The UK Famous Brand known as Enerpat has over 78 years experience supplying both the Europe, Australia, Russia, and Asian markets. 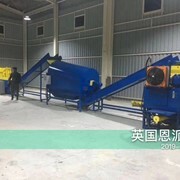 Today our main focus is Manufacturing High Performance Waste Recycling Equipment includes scrap metal baler, two shaft shredder, one shaft shredder, horizontal baler, wood shaving machine, wood shaving baler, alligator shear, wire stripper etc. 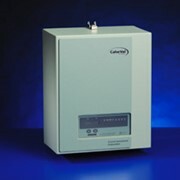 At Extremely Competitive Prices across China, Australia and mainland Russia through our dedicated distribution network. 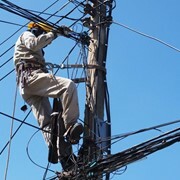 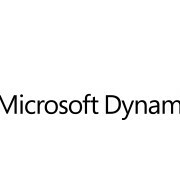 To ensure our customers receive guaranteed personal support in all aspects of our service, before and after the Sale! 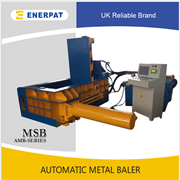 Through listening to our customers needs, Enerpat baler has been able to remain at the forefront, leading the world in some of the most innovative baling solutions available today. 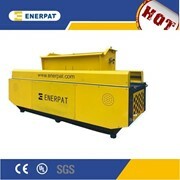 Mention IndustrySearch so Enerpat Group UK can best assist you! 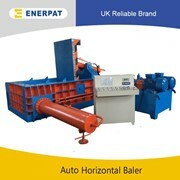 Get a callback from an expert at Enerpat Group UK to help answer your questions.